Club members and general public: through atleticodemadrid.com and entradas.com. 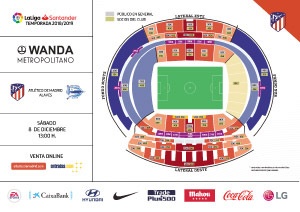 Wanda Metropolitano Ticket Office: Monday-Thursday from 9 a.m.- 7 p.m and Friday 9 a.m.- 3p.m. On the day of the match starting at 10 a.m.